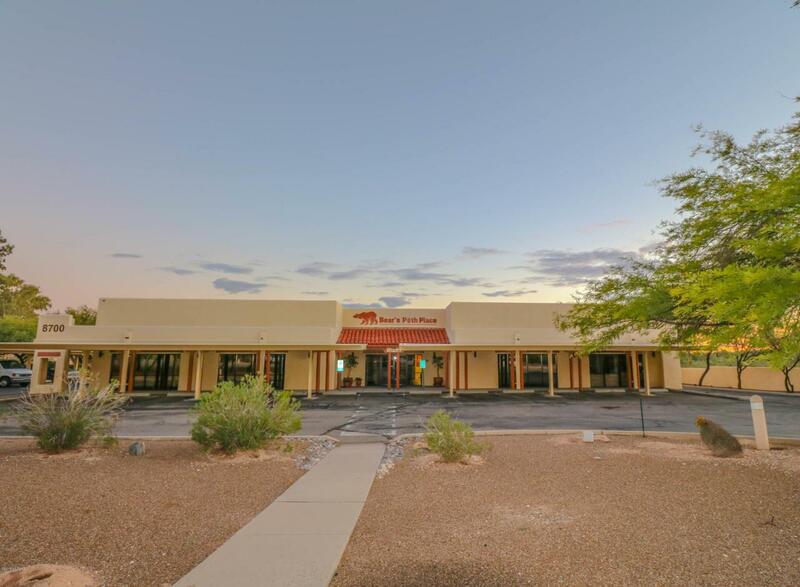 Well maintained and updated office/retail building in the heart of upscale Tanque Verde. Bear's Path Place is currently 7590 square feet, with buildable pad previously approved by City of Tucson for second 7500 SF office. Current interior configuration includes 5 separate offices with common area bathrooms, kitchen/break area. Large 3200 SF office is ideal for owner/operator. 1.37 acre parcel boasts 24 covered parking spaces, 36 uncovered. Covered exterior walkways, covered outdoor eating area. New HVAC. All tenants on MTM leases. Courtesy of Rainey Real Estate. Listing provided courtesy of Rainey Real Estate. Listing information © 2019 MLS of Southern Arizona.